Rationale: Caffeine is present in many widely consumed drinks and some foods. In the fairly extensive literature on the psychostimulant effects of caffeine, there are few dose-response studies and even fewer studies of the effects of doses of caffeine lower than 50 mg (the range of the amounts of caffeine contained in, for example, a typical serving of tea or cola). Objective: This study measured the effects of 0, 12.5, 25, 50 and 100 mg caffeine on cognitive performance, mood and thirst in adults with low and moderate to high habitual caffeine intakes. Methods: This was a double-blind, within-subjects study. Following overnight caffeine abstinence, participants (n=23) completed a test battery once before and three times after placebo or caffeine administration. The test battery consisted of two performance tests, a long duration simple reaction time task and a rapid visual information processing task, and a mood questionnaire (including also an item on thirst). 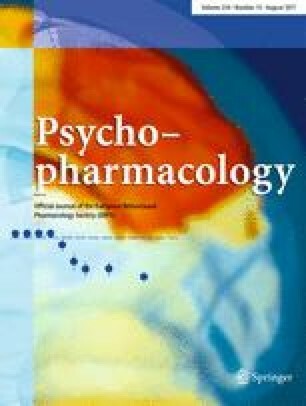 Results: Effects on performance and mood confirmed a psychostimulant action of caffeine. All doses of caffeine significantly affected cognitive performance, and the dose-response relationships for these effects were rather flat. The effects on performance were more marked in individuals with a higher level of habitual caffeine intake, whereas caffeine increased thirst only in low caffeine consumers. Conclusions: After overnight caffeine abstinence, caffeine can significantly affect cognitive performance, mood and thirst at doses within and even lower than the range of amounts of caffeine contained in a single serving of popular caffeine-containing drinks. Regular caffeine consumers appear to show substantial tolerance to the thirst-increasing but not to the performance and mood effects of caffeine.